The next inductee is from the class of 1975…Mike Love. 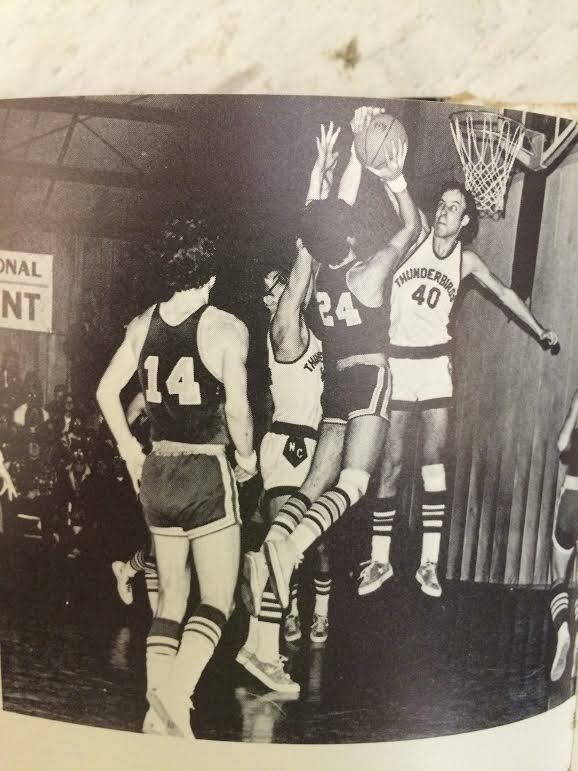 Mike was a 3 year starter in Basketball in which his teams accumulated a 3 year record of 61-14. In his sophomore year they accumulated a 26-1 record which is still the most wins and best record to this day. In his 3 years as a starter, he was voted all district 3 years, all conference 2 years, team MVP 2 years, and was the first Basketball player ever at North Callaway to be voted all State. He was all state both his Junior and Senior Year. Mike went on to play 4 years at Westminster College and married 1978 North Callaway graduate Cindy. He currently works at Foster Brothers Wood products in Auxvasse. His son Aaron graduated here in 2005 and his daughter Laura in 2008. Congratulations to Mike Love. Our next inductee is 1982 graduate Tom Christensen. Tom was a 4 year letter winner in Football and Track and a 2 year letter winner in Basketball. He was all conference in Football as a running back 3 years and as a punter and linebacker 1 year. He was all conference in Track in various events a total of 10 different times including Conference Champ in High Jump and 110 hurdles. He was all district 7 different times and district champ in High Jump in 1982. 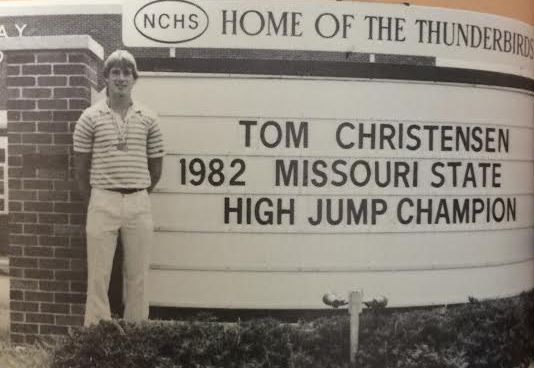 1982 proved to be a great year as he finished 3rd in state in the 110 hurdles, but the crowning feat was when he won the state championship in the High Jump. He is still the current school record holder in High Jump with a jump of 6’6”. He graduated from Westminster in 1986 and resides in Fulton. He is married to Katherine and has 4 sons…Mitchell, Wilson, Nicholas, and Samuel. Congratulations Tom Christensen. From the class of 1985, we have Paula Primus (Cunningham). 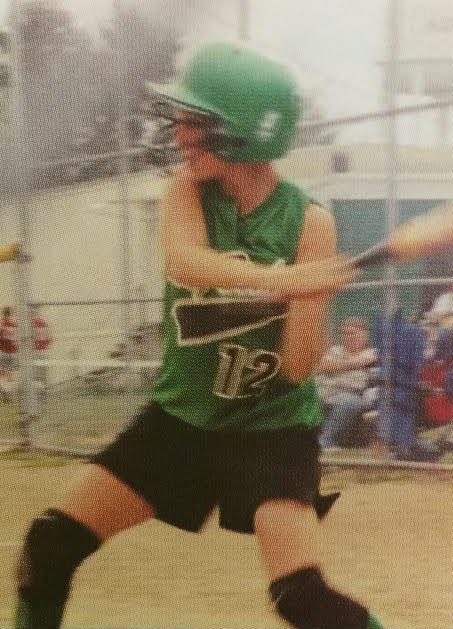 Besides being valedictorian of her class, she was also a standout in Softball, Basketball and Track. Paula was an all conference Softball player her Sophomore, Junior and Senior years while her teams won conference 2 of those years. As a Basketball player, she received all conference honors all 4 years, helping her teams to win conference all 4 years. 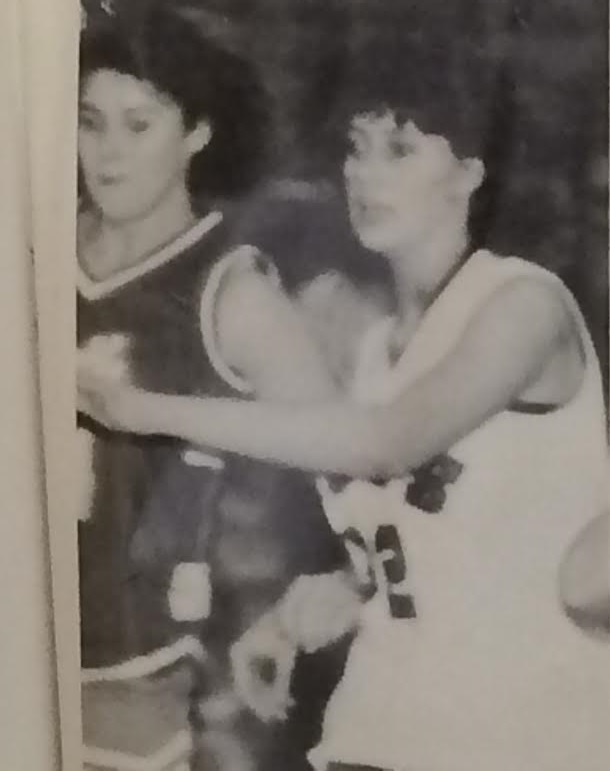 In her Junior and Senior years, the Thunderbirds won districts and advanced to sectional play during the 1985 season. Over the course of four years, Paula scored over 1500 points while wearing a T-Bird jersey. 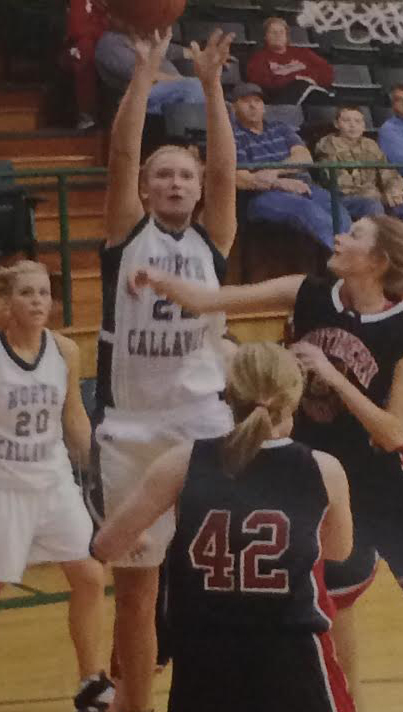 She was also named all state both her Junior and Senior years. In track she competed in multiple events and was all conference in the 1600 yard relay, shot put and triple jump. As a team, they won conference 2 years and districts once. 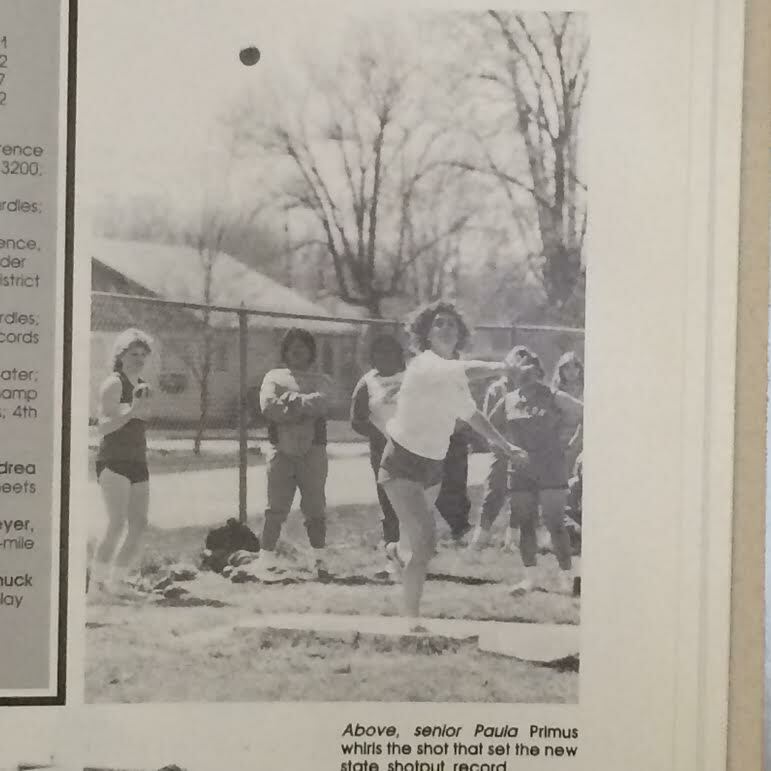 In 1984 she placed 2nd in state in shot put. The following year she was state champion in shot put and held the state record. She is still currently the North Callaway record holder in that event. 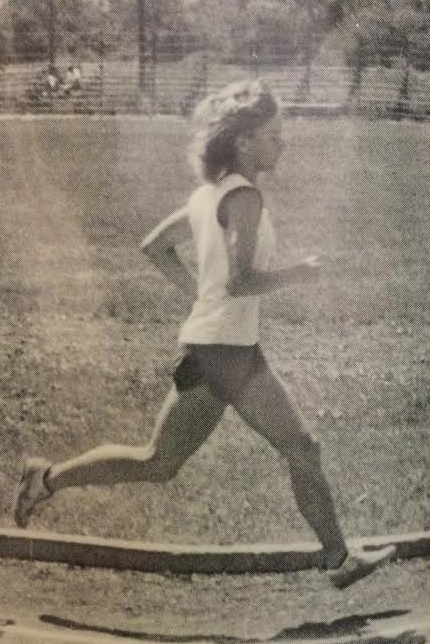 After graduation, Paula attended Mizzou and competed in track. She is married and has 2 girls…Lindsey and Sophie, who both currently play Basketball for Mizzou. Congratulations Paula Primus (Cunningham). We have 2 inductees from the class of 1999. The first is Jake Baumgartner. Jake was a 4 year varsity letterman in Basketball and baseball, and 3 years in Football. He was a 2 year all conference and all district football player his junior and senior year. 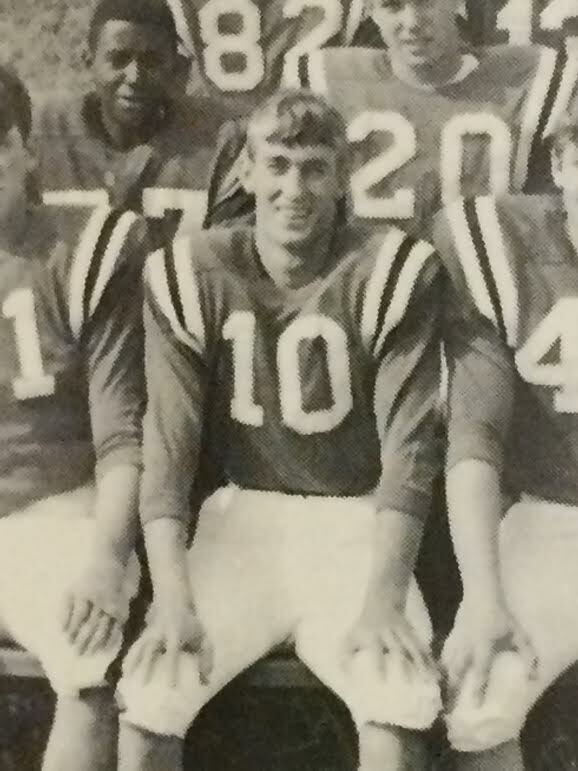 His senior year he was named all state quarterback on a team that was 9-1 and averaged almost 40 points per game. He was an all conference Basketball player 2 years and all district Basketball player his Senior year. He scored over 1000 points for his basketball career. He played an intrigal part of the only Boys Basketball team to ever make it to the final 4 MSHSAA Championships. Jake’s biggest success came in the spring during baseball season. He was all conference and all district his Junior and Senior years. He once hit 3 home runs in a single game against South Shelby and pitched a No Hitter in the District Championship game to help the Thunderbirds claim their only district Baseball title. 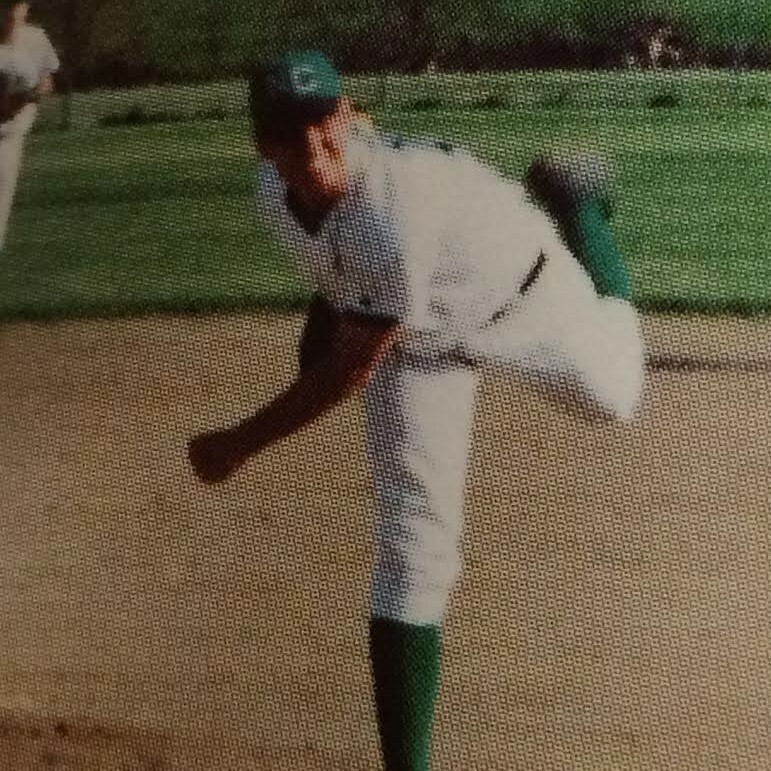 In his High school baseball career, he totaled 22 pitching wins. He had a Senior season 0.87 ERA and was named all state. 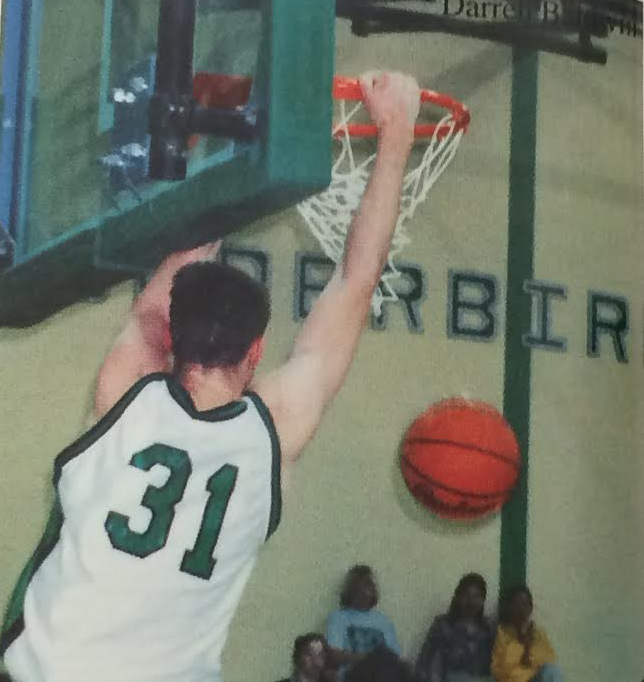 He was also named North Callaway athlete of the year his Junior and Senior year. After high school, he attended St Louis University and pitched for the Division 1 Billikins as a starter and reliever. He is married and has 2 sons, Noah and Laine. Congratulations to Jake Baumgartner. Our other class of 1999 inductee is Darren Baldwin. Darren was a 4 year letterman in football, basketball, and baseball. In football he received all conference and all district honors his Junior and Senior years. His career receiving totals were 102 receptions, 30 touchdowns, and just over 2000 yards. He was named all state his Senior year as a receiver. On defense he only allowed 1 pass reception against him his entire Senior season. In basketball he received all conference and all district honors his Junior and Senior years. He held school blocked shots and rebounds records. He was named all state in basketball his Senior year and his thundering dunks entertained many as they advanced to the MSHSAA final 4 championship. Darren also excelled on the baseball field. Playing first base and pitcher, he was all conference and all district his Junior and Senior year. He was a major contributor to the baseball Thunderbirds only district title. Darren went on to play football at Mizzou. He is married and has 2 children, Charlotte 5 and Crosby 2 . Please help us congratulate Darren Baldwin. Our final inductee is 2009 graduate Samantha Heck. Samantha was a 3 time all conference, all district, and all State Cross Country runner. In track she earned all conference and all district honors 3 times. She also was a sectional and state track qualifier. Her biggest contributions were on the Basketball court. Sam was all conference and all district 4 years. She was named all state all 4 years of High School. She totaled 2,218 career points, 1401 rebounds, 469 assists, 375 steals, and 222 blocks. After High School she attended Evansville University where she again earned all conference honors. Before graduation, she became the 4th ever player in program history to score 1,300 points and have 700 rebounds. Overall she scored 1,331 points. Please help us congratulate Samantha Heck. 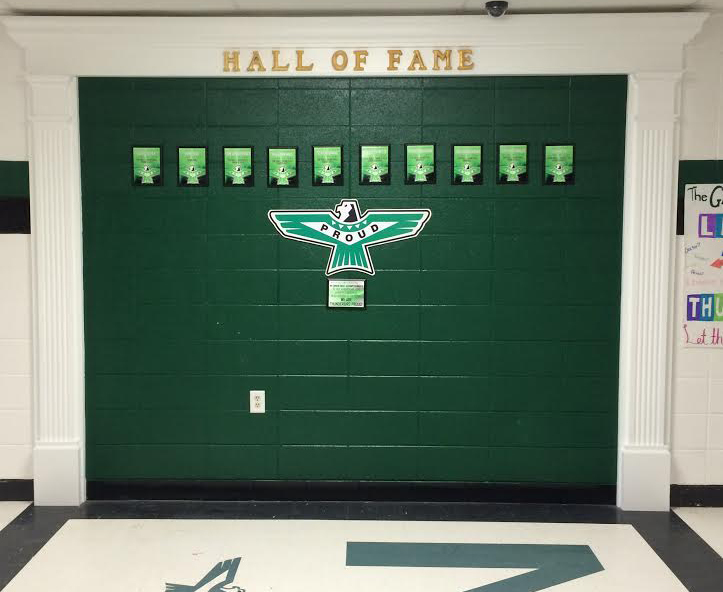 ONCE AGAIN, would everyone join together in honoring the first ever inductees to the North Callaway Hall of Fame. Thank you for making us THUNDERBIRD PROUD!